The truly important question should be way bigger than this: How can crypto-powered businesses create new types of abundance? How will blockchains drive our standard of living forward exponentially? How will we see the creation of tens of trillions in new value like we did with the stock market in the last 150 years? 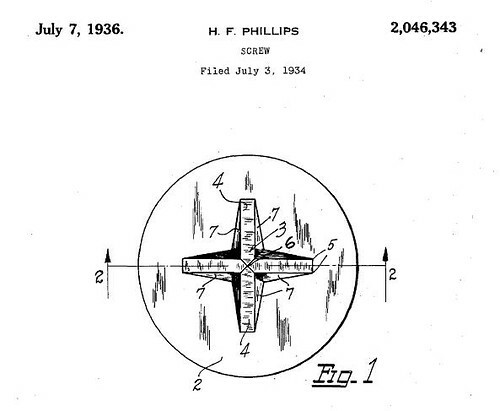 As we address asset allocation, we might recall that it was on this date in 1936 that Henry F. Phillips received several U.S. patents for the Phillips-head screw and screwdriver– a system in which a matching driver with a tapering tip conveniently self-centers in the screw head. Phillips founded the Phillips Screw Company to license his patents, and persuaded the American Screw Company to manufacture the fasteners. General Motors was convinced to use the screws on its 1937 Cadillac; by 1940, virtually every American automaker had switched to Phillips screws.